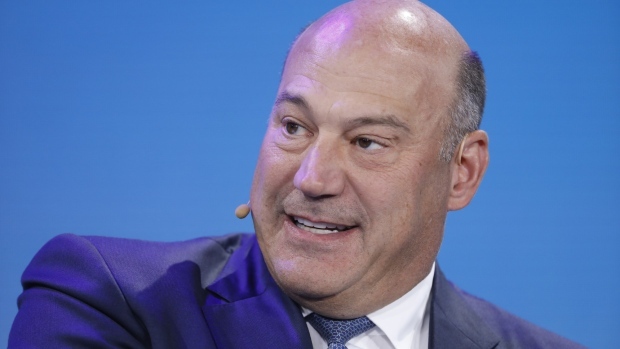 Ex-White House economic adviser Gary Cohn said he didn’t expect Democratic election gains to speed the end of President Donald Trump’s China trade war, even as some in Beijing held out hope he might warm to talks. While the Democrats’ success in gaining control of the U.S. House of Representatives might frustrate Trump with investigations and make it harder for him to push through legislation, it might mean little for his trade policy. Trump can wield many of his preferred weapons, from tariffs to criminal probes, without congressional approval, and the opposition party has traditionally been more protectionist on trade. The trade dispute has been propelled in part by widening bipartisan support for the need to confront China, a concern cited frequently during the two-day forum in Singapore. Even before the election results were clear, former U.S. Treasury Secretary Hank Paulson warned of an “ Economic Iron Curtain” dividing the world, if the two sides failed to resolve strategic differences. The results stoked a volatile session for Chinese stocks as investors weighed how the results would impact the trade dispute. The MSCI China Index rose as much as 1.3 per cent, erased it all to fall 0.7 per cent, and then turned higher again in mid-afternoon trading. China’s yuan weakened against the dollar. Trump’s decision to impose tariffs on US$250 billion of Chinese goods has led to retaliation from Beijing and exacerbated a raft of disputes, from human rights to U.S. support for the democratically run island of Taiwan. While the fight threatens to increase consumer prices and hurt American farmers who export to China, it’s also provided the president with helpful foil on the campaign trail. With the election over, some in China were hopeful that Trump might be more open to a thaw in discussions. Trump is slated to meet Chinese President Xi Jinping at the Group of 20 summit that begins later this month in Argentina. Cohn, who left the White House this year after losing a battle against tariffs, used the forum to take a few swipes at his former boss’s economic policies. The former Goldman Sachs Group Inc. president said he couldn’t explain why Trump was so fixated on trade deficits. Trump found “one economist on Amazon who thinks trade deficits matter, and he listens to him,” Cohn said. He said the U.S. should concentrate on systemic issues with China, such as market access, intellectual-property-rights enforcement and forced technology transfers, instead of pressuring them to purchase more American goods.